What’s going on with Battersea Power Station? After a big spike in reporters’ attention following Apple’s decision to move its headquarters into the grade 2 star listed art deco Building, Battersea Power Station has gone quieter in mainstream media over the last months. This doesn’t mean that nothing has changed and Spectacle has been following the latest initiatives of Battersea Power Station Development Company around the beloved building designed by Giles Gilbert Scott. 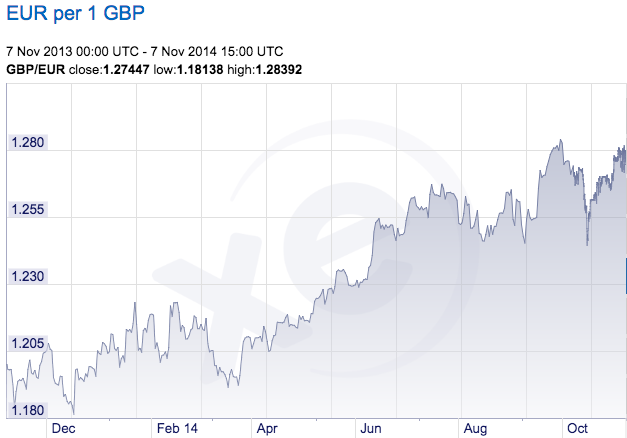 Unfortunately much of the news is not reassuring. Bad news or good news? Bad and good, as usual, are mixed up in the opacity of corporate communication, where everything can be spun according to the most convenient narrative. In fact, the general public is probably aware that the biggest and richest company in the world, Apple, have expressed their intention to move into the refurbished power plant. Apple has been welcomed almost unanimously in mainstream media (among others: BBC, The Guardian, Evening Standard) as good news. Meanwhile only Spectacle’s blog reported that the East Wall has been completely demolished in order to make windows and give light to Apple’s offices. This major loss, unreported in the mainstream media, follows a curious ’destroy-to-preserve’ strategy repeatedly applied to portions of the Battersea Power Station. Even though best practice in heritage interventions recommends to keep existing structures, the iconic chimneys have gone and been replaced with replicas. In our opinion this is the most evident distortion produced by developer-led preservation, as shown in our film Battersea Power Station: Selling an Icon. 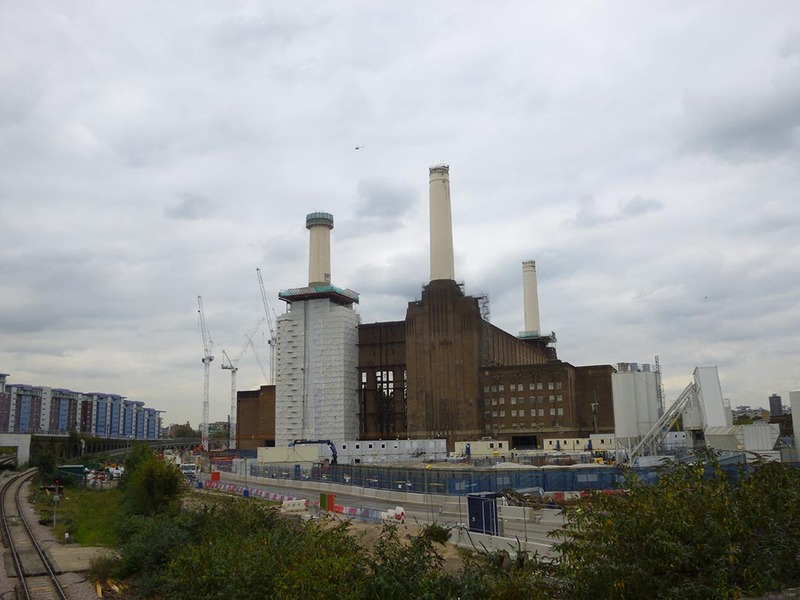 The demolitions (east wall and chimneys) have been approved by all regulatory agencies (Historic England – former English Heritage – and Wandsworth Council) and justified with the greater good of bringing the Battersea Power Station back to life. But what good has the 9 billion development – one of the biggest in Europe – delivered so far? The works to rebuild the chimneys have proceeded and, at the moment, three newly built chimneys stick out the spoiled art deco power station. 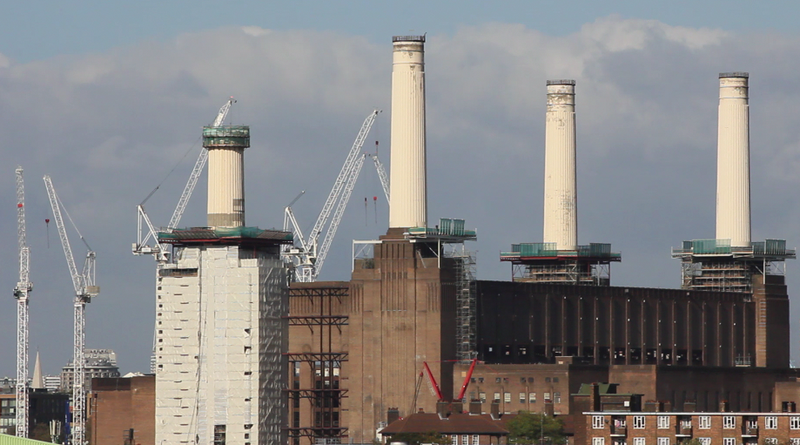 Hopefully Londoners will be able to once again admire the four chimneys back on the Battersea skyline, even though they are fakes. Better than nothing? Maybe. Battersea Power Station Development Company, through it’s Chief Executive Rob Tincknell, have recently announced the opening of a riverside walk in the development area: “We are delighted that we are able to open new public spaces for London and are starting to bring the power station and its surrounds back into London life” (Reported on the Evening Standard). Despite the enthusiasm in the wording, the ‘public space’ Rob Tincknell is talking about is a private walk squeezed between the river and Phase 1 of the development. This promenade is going to be integrated into the wider riverside walk that will be opened in front of the Power Station. Like the rest of the development, this space is private and merely open to public, which is quite different from being ‘public space’. While filming the new Riverside promenade, our naive crew, believing in the “public space” hype outlined by the developers, acted as if it was a real public area. Unfortunately we have been brought back to reality when the local security reminded us that the landlord decided that smoking was not allowed on the site. Thanks to this sensible management, our health has been preserved. Nevertheless it seems unlikely that a privately policed space will guarantee free enjoyment of the river. If they were to outlaw picnics (maybe to help food shops in the development) or a protest, there would be little room for complaint: that’s what you get when you privatise public spaces. The Guardian in the past has warned about the effects already produced by this public/private mix on the shores of the River Thames, that became a “bafflingly complex labyrinth of private obstructions and municipal confusion – and a struggle over land rights that could have serious consequences for common access to the river”. Not a great prelude to what developers offer as a unique experience. 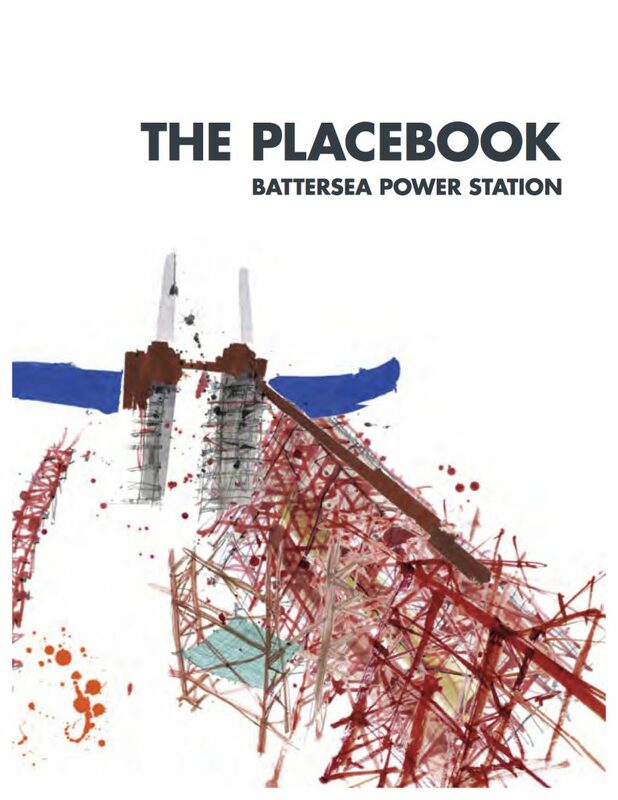 The pretentious 230 pages long ‘manifesto’ on Place Making put forward by the Battersea Power Station Development Company gives paramount importance to mixed use and mixed tenancy. Despite the commitment to deliver housing (and some affordable housing) to London’s population, the Malaysian consortium that leads the development has changed its mind, switching from luxury flats to offices. Battersea Power Station Development Company have put forward an application for a change of use for Phase 3 of the project. Developers are seeking to turn two buildings, by starchitects Frank Gehry and Norman Foster, – whose flats have already been displayed for sale – from residential to office use. The Financial Times, reported the proposed change is due to a drastic drop in the prime housing market price, whereas demand for office space seems to be holding a higher value. Rob Tincknell in the Financial Times had to justify the plan: “The great thing about a long-term scheme like this is we can adjust with the markets. If there’s no residential market and a very strong office market then we will build offices”. 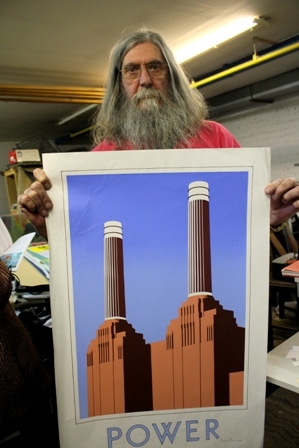 The same Tincknell that now praises flexibility, in the past gave an interview to Peter Watts, for his book “Up in Smoke” about the history of Battersea Power Station, making clear how Battersea Power Station Development Company came up with their surefire recipe to make Battersea the perfect place: “57% residential. Of the remaining 43% that’s about 3.4m sq ft, 1.2m retail and restaurants, 1.7m sq ft of offices and the balance in hotels, leisure and community space.” We wonder what happened to the pseudo-scientific plan for mixing uses and people in the “new place”, allegedly the result of a long consultation with local people. Maybe it wasn’t that important, since Tincknell tells the Financial Times now that “I could easily see us adding another million square feet (of office space)” and taking out a hotel and lots of residential from the scheme. Battersea Power Station Community Group, virtually the only critical voice in the neighbourhood whose opinion has never been taken into account by the developers, have stood against the proposed plan: “The Gehry and Foster blocks should become social, affordable and mid-priced housing. There could be some office space at the lower levels. But with a housing crisis in London of unprecedented severity, these buildings should not be given over to offices in their entirety”. 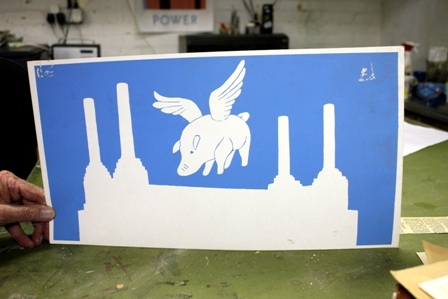 Cosa succede alla Battersea Power Station? Dopo la decisione di Apple di trasferire il suo quartier generale all’interno della Battersea Power Station, abbiamo assistito ad un picco di attenzione mediatica nei confronti dell’edificio art deco, gemma del patrimonio architettonico nazionale. Negli ultimi mesi, al contrario, le vicende che riguardano Battersea Power Station sembrano scomparse dai media mainstream. Ciò non significa che nulla sia successo e Spectacle ha continuato a monitorare le iniziative della Battersea Power Station Development Company – società che gestisce il progetto di rigenerazione – attorno alla monumentale centrale elettrica progettata da Giles Gilbert Scott e tanto amato da Londinesi e non. Sfortunatamente molte delle novità non sono confortanti. Cattive notizie o buone notizie? Come sempre buono e cattivo sono mescolati nel linguaggio commerciale e ogni fatto è filtrato ad arte in base alle convenienze. Per esempio il grande pubblico certamente è stato messo al corrente del fatto che la più grande e ricca azienda al mondo, Apple, ha manifestato l’intenzione di trasferire i suoi uffici all’interno della centrale elettrica al termine dei lavori di ristrutturazione. Apple è stata salutata positivamente, come abbiamo segnalato, praticamente da tutti i mass media (tra gli altri segnaliamo BBC, The Guardian, Evening Standard). Nel frattempo solamente il nostro blog ha dato notizia della demolizione totale dalla parete est della centrale, rimossa per far posto a finestre e dare così luce ai nuovi uffici della Apple. 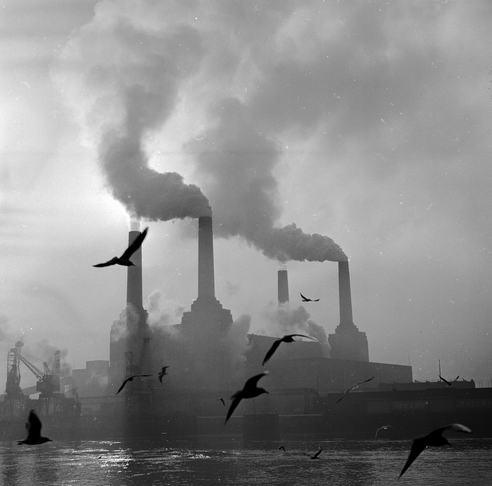 Questa triste perdita, andata sotto completo silenzio in tutti gli altri media, è in linea con la curiosa strategia conservativa ‘distruggi per preservare’ ripetutamente applicata a porzioni della Battersea Power Station. Nonostante le migliori pratiche conservative del patrimonio storico architettonico prevedano il mantenimento della maggior parte dei manufatti esistenti, nel caso di Battersea si è deciso di procedere alla demolizione delle ciminiere e alla ricostruzione di repliche. 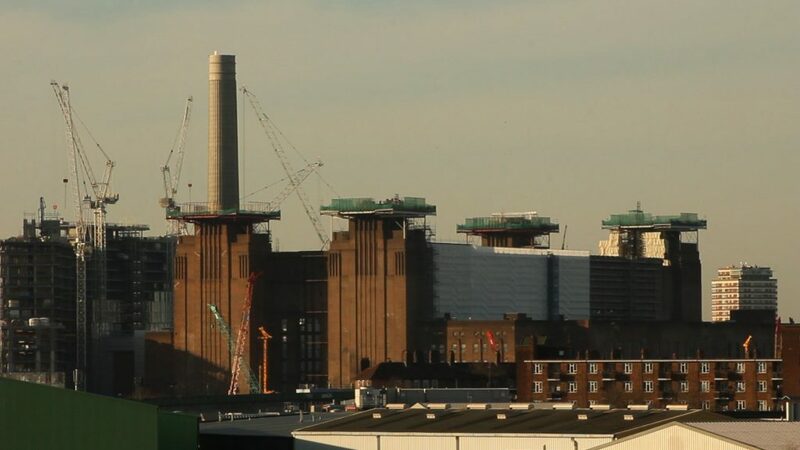 Secondo noi questo è uno degli esempi più evidenti delle storture prodotte dall’intervento di interessi finanziari nel campo della conservazione, come abbiamo cercato di mostrare nel nostro film Battersea Power Station: Selling an Icon. La Battersea Power Station Development Company, attraverso il suo amministratore delegato Rob Tincknell, ha recentemente annunciato l’apertura di una passeggiata lungo il Tamigi: “Siamo lieti di poter aprire nuovi spazi pubblici per Londra e di poter condurre la Power Station e i suoi dintorni di nuovo al centro della vita londinese” (dall’Evening Standard). Nonostante l’entusiasmo dell’annuncio, lo ‘spazio pubblico’ cui si riferisce Rob Tincknell è nient’altro che una breve passaggio pedonale privato, schiacciato tra il fiume e la cosiddetta Fase 1 del progetto. La passeggiata sarà integrata al più ampio lungofiume che sarà aperto al pubblico di fronte alla Power Station. Come il resto dell’area, anche questo spazio è tecnicamente privato e solo aperto al pubblico, cosa ben diversa dall’essere uno ‘spazio pubblico’ tout court. Mentre eravamo intenti a fare delle riprese sulla nuova passeggiata, i membri della crew di Spectacle, ingenui, sono caduti nel tranello retorico dello ‘spazio pubblico’ pubblicizzato dai costruttori e si sono comportati come se davvero lo fosse. Sfortunatamente siamo stati ricondotti alla realtà da un membro del servizio di sicurezza venuto a ricordarci che il padrone di casa aveva deciso che non era permesso fumare in tutta l’area. Grazie al giudizioso gestore, la nostra salute è stata salvaguardata. Ci sembra però improbabile che uno spazio sottoposto a controllo privato possa garantire un libero godimento del lungofiume. Se i proprietari decidessero di bandire i picnic (magari per dare una mano i loro ristoratori) o manifestazioni di protesta, non ci sarebbe molto di cui lamentarsi: questo è ciò che accade quando si privatizzano spazi pubblici. The Guardian in passato ha lanciato un allarme sugli effetti già prodotti dalla sovrapposizione di pubblico e privato lungo le sponde del Tamigi, diventato, secondo la loro indagine un “labirinto incomprensibilmente complesso di ostacoli privati e confusione tra municipi – nonché un campo di battaglia sui diritti di transito che potrebbe avere serie ripercussioni sull’accesso pubblico al fiume”. Non un grande preludio verso quella che i costruttori offrono come un’esperienza unica. Le pretenziose 230 pagine del ‘manifesto’ su Place Making prodotte dalla Battersea Power Station Development Company riserva un ruolo fondamentale alla diversità di usi e di inquilini. Nonostante l’impegno a costruire case (alcune delle quali a prezzo calmierato) per la popolazione londinese, i proprietari hanno cambiato idea, passando da appartamenti di lusso a uffici. La Battersea Power Station Development Company ha presentato istanza per un cambio d’uso della cosiddetta Fase 3 del progetto. I costruttori hanno intenzione di trasformare due edifici, progettati dalle star dell’architettura contemporanea Frank Gehry and Norman Foster – i cui appartamenti sono talaltro già in vendita – da uso residenziale a uffici. Il Financial Times nel darne notizia, presenta come causa di tale cambio il drastico crollo dei prezzi degli immobili di lusso, mentre la domanda di spazi per uffici si manterrebbe alta così come il loro valore. Rob Tincknell ha così giustificato la mossa al Financial Times: “L’aspetto positivo dei progetti a lungo termine è che possono adattarsi al mercato. Se non c’è mercato per immobili residenziali e un mercato molto florido per gli uffici, allora costruiamo uffici”. Lo stesso Tincknell – che adesso esalta la flessibilità – in passato ha rilasciato un’intervista a Peter Watts, autore di ‘Up in Smoke’, testo sulla storia di Battersea Power Station, sottolineando come la propria azienda avesse prodotto una ricetta infallibile per rendere Battersea un luogo perfetto: “57% residenziale. Del restante 43%, che corrisponde a circa 315.000 mq, 110.000 mq in negozi e ristoranti, 158.000 mq in uffici e il resto con un buon bilanciamento di hotel, tempo libero e spazi per la comunità”. Ci domandiamo che cosa è successo a questo piano pseudoscientifico per mescolare usi e gente, secondo gli autori risultato di lunghe consultazioni con gli abitanti dell’area. Forse non era così importante dato che oggi Tincknel può riferire al Financial Times: “è facile immaginare di aggiungere 93.000 mq (di uffici)” e cancellare dal progetto un hotel e un bel po’ di appartamenti. Il Battersea Power Station Community Group, praticamente l’ultima voce critica rimasta a mettere in discussione il progetto e le cui opinioni non sono mai state prese in considerazione dalla proprietà nel corso delle consultazioni, si sono scagliati contro la proposta: “Gli edifici di Gehry e Foster dovrebbero diventare case a uso sociale, con prezzi calmierati. Potrebbero esserci uffici ai piani bassi. Mentre assistiamo alla crisi abitativa più grave che sia mai stata vissuta a Londra, non si può dare via questi edifici nella loro interezza ad uso uffici”. Continuate a seguirci per aggiornamenti e nuove contraddizioni generate dalla megarigenerazione di Battersea Power Station. According to news emanating from the developers of Battersea Power Station via the Evening Standard– Apple (the suits not the manufacturing) plan to occupy almost half of the beloved art deco building (500,000 square feet) in 2021, relocating 1,400 of its employees from Oxford Circus to Giles Gilbert Scott’s masterpiece. Despite the expectation of a bright future, the shine has come off the PR coup as the building Apple is moving into, won’t be the Battersea Power Station, but rather a new built Battersea Fake Station. After decades of demolition by stealth, in order to provide daylight to the new office spaces, the East Wall has been demolished. The celebrated expanses of patterned brickwork will be replaced with new Art Deco-Style windows. The historic brick work East Wall came down just a few weeks ago. It was only after the white plastic scaffold covering was removed that activists and residents realised that the East wall had gone. 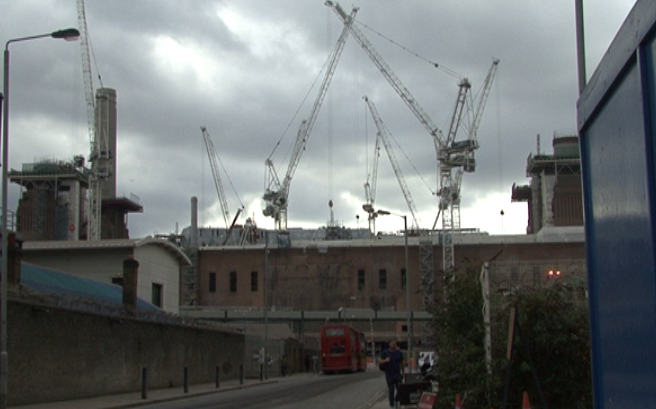 What’s left of the Battersea Power Station – The unexpected demolition of the East Wall. Silence in the news left everyone unaware of this latest act of heritage vandalism. Why this lack of information? And what’s the reason behind this decision to demolish? Conservation or profit? In our film ‘Battersea Power Station: Selling an Icon’, Nigel Barker, Planning and Conservation Director for London at Historic England (formerly English Heritage), described the principle of putting glazing into the East Wall as “quite challenging”. Battersea Power Station Development Company got planning permission to put windows in the wall. But what Spectacle and the residents did not know is that they had to knock down the whole wall to realise this plan. Did Historic England know? If so, how does it fit in with their principles of conservation? 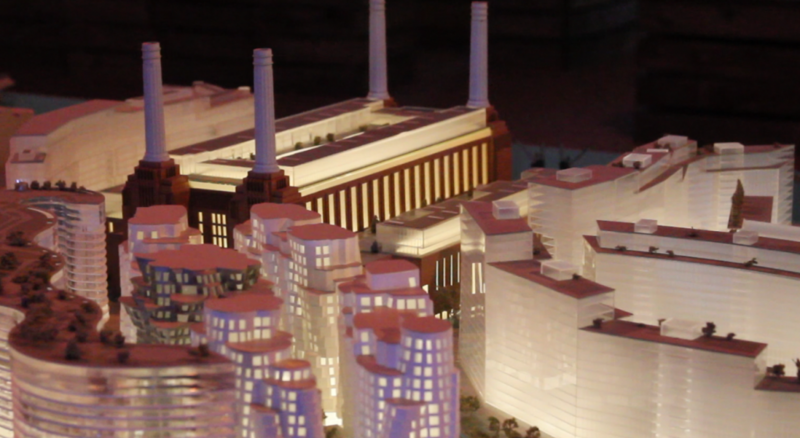 Plastic model of the Power Station redevelopment plan. Brian Barnes, founding member of the Battersea Power Station Community Group that has fought for the protection of the site since the 1980s, said that everything has been done “behind closed doors” without any consultation. He reminds us that behind the development planning application there are over 600 documents and many subsequent “variations” which makes it hard to grasp what exactly is going on. The lack of clarity and the broken promises leave residents and fans of the Art Deco masterpiece with many unanswered questions about the future of Battersea Power Station- the biggest brick building in Europe. Rob Tincknell, CEO of the Battersea Power Station Development Company, told The Guardian: “to fill the power station with shops, offices, luxury apartments and £30m-plus penthouses, and surround it with yet more apartment blocks [… is] paying for this [restoration]. You don’t just regenerate this out of thin air.” But this is not restoration: it is desecration. It started with John Broome in the 1980s who demolished the West Wall and took off the roof. This three decades long process of demolition by stealth of the heritage site has been allowed by Wandsworth Council. As we can see, the West Wall has never been rebuilt. Apparently the plan is to create a glass wall so that the luxury ‘ghost’ flats can have the daylight coming through. But the questions are – Who is going to profit and at what cost to us all and to the future generations? Why have the agencies responsible for the protection of our heritage connived in this greedy exploitation of our cultural assets? Battersea Power Station – what is the future? 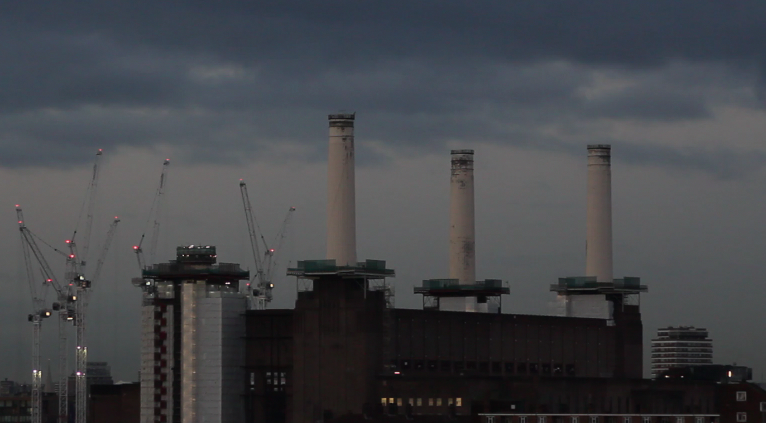 Our film Battersea Power Station: Selling an Icon, has recently been screened at Goldsmiths University, in Leiden as part of the LISFE Architecture Week, and at the 3rd International Congress on Industrial Heritage in Lisbon. These screenings have generated further interest in the tragic plight of this building and the detrimental effects of developer led conservation on listed buildings. 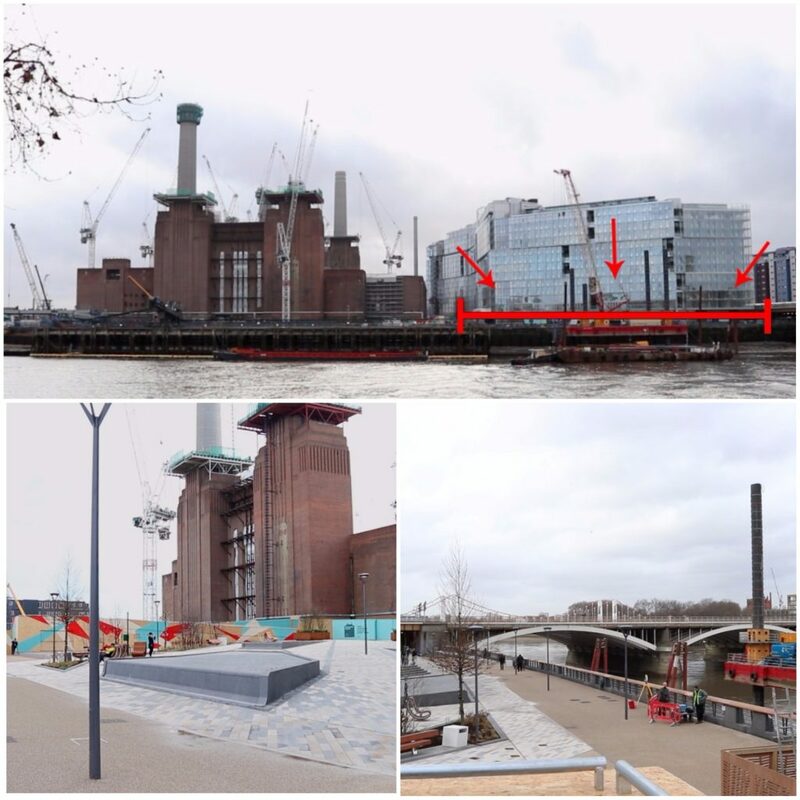 Combined with the recent unveiling of the new Tate Modern extension, it raises questions over how the unlisted Bankside Power Station is protected by public use and interest, while the listed Battersea Power Station, still standing with just one chimney, is for private profit only. Battersea Power Station with one fake chimney. 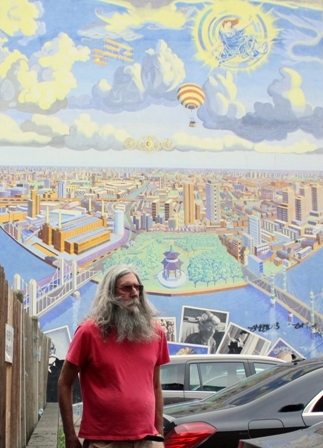 Keith Garner, an architect who works on the conservation of historic buildings and landscapes, is a member of the Battersea Power Station Community Group, and is featured in the film. At the Lisbon conference, Garner and Kett Murphy delivered a presentation, ‘Power Stations for the People’, which highlighted the comparison between the redevelopment of Battersea Power Station against that of Bankside Power Station, which has since become the Tate Modern. 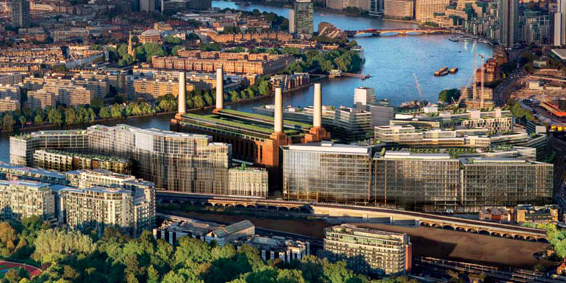 While Bankside was regenerated for recreational purposes very successfully, Battersea Power Station continues to lie at the mercy of aggressive speculative development. The contrasting redevelopment of these two buildings is crucial in understanding the issues of building preservation in an age of redevelopment. However, as Garner and Murphy highlighted at the Lisbon conference, the development plans for Battersea Power Station don’t seem to be focused around the preservation of a listed Art Deco building, or the drive to create another cultural space like the Tate. Under the financing of Malaysian real estate investment consortium, led by Sime Darby, the power station will be swamped by high rise, luxury apartments, enclosed in a gated community and only accessible to the public during the day. As we have previously reported, the power station itself is in danger of becoming virtually unrecognisable, with growing concern over whether the iconic chimneys will ever be rebuilt. 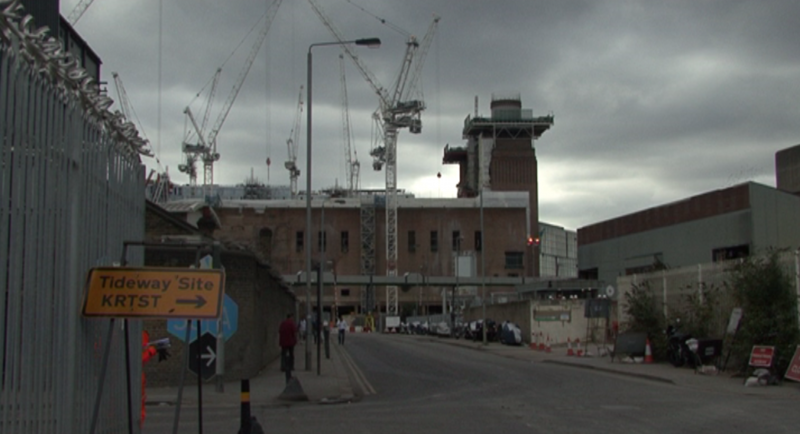 Unlike the regeneration of the Tate Modern, whose success is ultimately based on its inclusivity and openness, Battersea, as we have tried to highlight in our film, is becoming defined by its elitism and exclusivity. 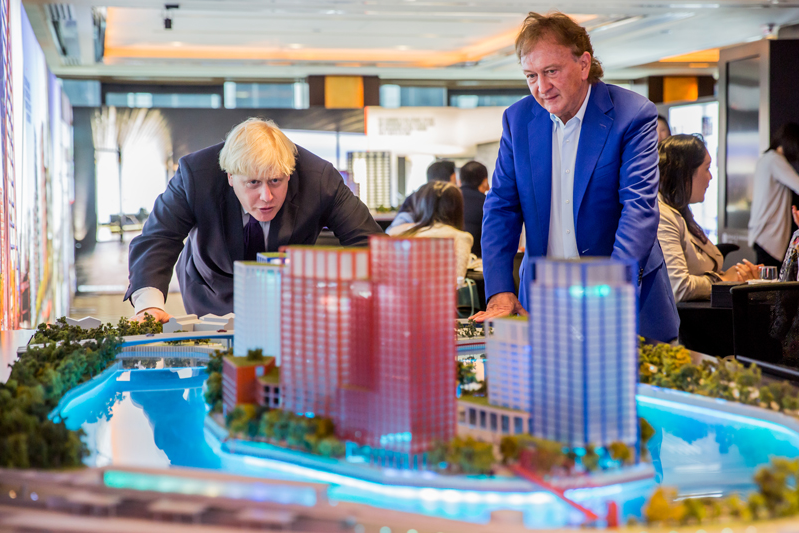 Despite Boris Johnson’s pledges that property developed at the power station would be sold to Londoners first, our investigations suggest otherwise, with findings exposing that 55% of the homes sold so far actually went to foreign money. 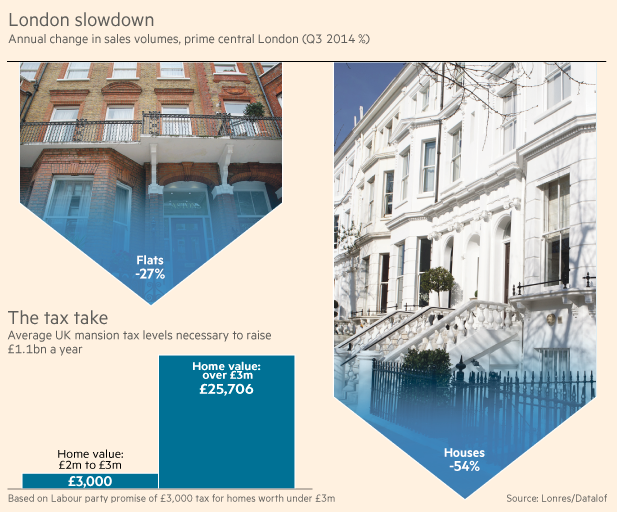 Battersea’s ‘regeneration’ threatens to be solely for the purpose of private economic gain. As Garner asserts, the developers have taken ‘no account of its (Battersea Power Station) dignity, reverence and serenity.’ The Battersea Power Station Community Group’s plans have ultimately been realised in the Tate Modern. However, the recent Switch House extension, a 200ft pyramid-like tower featuring three new galleries and a panoramic roof terrace, just reinforces how, if re-development and preservation had started with Battersea rather than Bankside, which is a third of the size, no such extensions would have been needed. Instead, funds are raised in order for the Tate to house 60% more artworks, whilst Battersea Power Station falls into further dereliction. Through the re-circulating of our film, these issues of developer led conservation are once again being brought to attention. The way the Tate extension is being praised for transforming the building into ‘one of the world’s cutting edge art spaces’, only emphasises the stark contrast between the two power stations. Our film remains essential in raising an awareness that heritage led regeneration cannot, ultimately, be short-circuited, and that respect for the historic environment is paramount. In questi giorni Battersea Power Station andrà in giro per il mondo a vendersi. 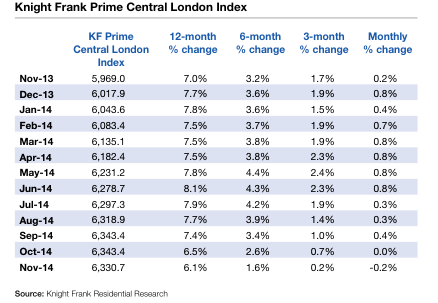 Un tour pubblicitario globale per lanciare, probabilmente, il più grande progetto di sviluppo immobiliare del momento a Londra e, certamente, tra i più controversi. La pubblicità è iniziata con un articolo di Enrico Francechini su Repubblica, che presenta il megaprogetto per i suoi aspetti avveniristici. Tuttavia non coglie gli aspetti critici della speculazione edilizia, il contesto di housing crisis e il rischio di cancellare l’icona del passato industriale Londinese (in bello stile art deco) lungamente denunciato dal Battersea Power Station Community Group. Un recente articolo del Financial Times, dando spazio al World Monument Fund e alle sue preoccupazioni, ci sembra che tenti di contestualizzare il lavoro dell’impresa immobiliare (Battersea Power Station Development Company). 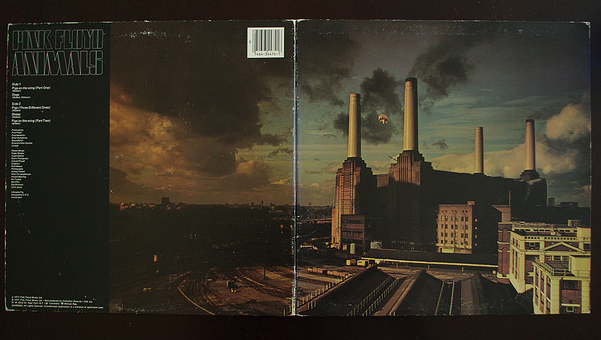 Probabilmente per un italiano medio Battersea Power Station non significa granché, ma se aggiungi la copertina di Animals dei Pink Floyd allora dalla memoria qualcosa affiora. Per i londinesi Battersea Power Station rappresenta molto di più: un’icona del passato industriale e un punto interrogativo sul futuro dello sviluppo immobiliare della capitale britannica. Costruita a partire dagli anni ’30, questa cattedrale industriale fino all’inizio degli anni ’80 ha fornito elettricità alla metropoli, calore nelle sue case e ha dato un decisivo contributo alle affascinanti e nebbiose atmosfere stile “fumo di londra”. Battersea Power Station fa parte dell’immaginario di milioni di frequentatori della capitale, stagliandosi nei finestrini dei pendolari che ogni giorno transitano dalle stazioni ferroviarie di Vauxall, Clapham e Victoria Station. La bellezza dell’edificio e delle enormi ciminiere bianche, il condensato di storia industriale che incarnano hanno fatto sì che la Battersea Power Station entrasse già nel 1980 nella lista degli edifici storici. A partire dal 2004 il prestigioso World Monument Fund ha incluso Battersea Power Station e le sue ciminiere nella lunga lista di edifici patrimonio dell’umanità che necessitano di essere protetti per i posteri. Ma da cosa bisogna proteggere Battersea Power Station? 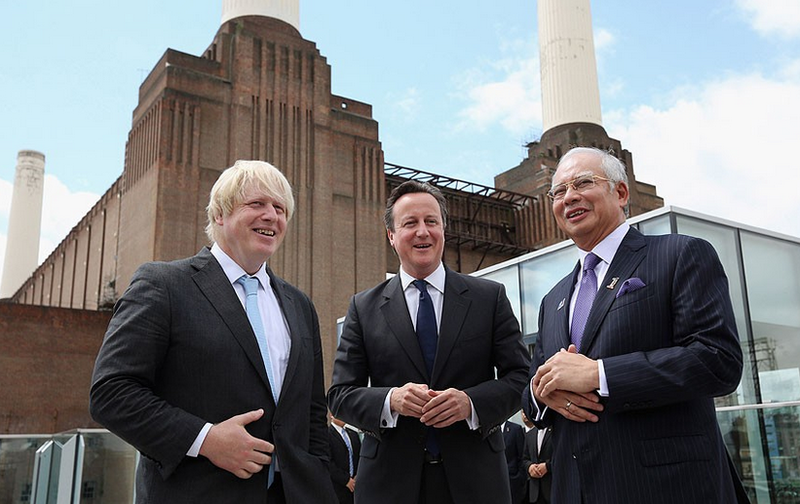 Ma questa volta la Battersea Power Station Development Company, braccio operativo di una cordata di società e istituti finanziari della Malesia, sembra fare sul serio: archistars (Frank Gehry, Norman Foster, Rafael Vinoly), budget faraonico (8 miliardi di sterline, circa 10 miliardi di euro) e la benedizione di sindaco e primi ministri dovrebbero permettere di creare, la’ dove ora c’e’ una cadente centrale elettrica, il centro di una nuova città nella città. 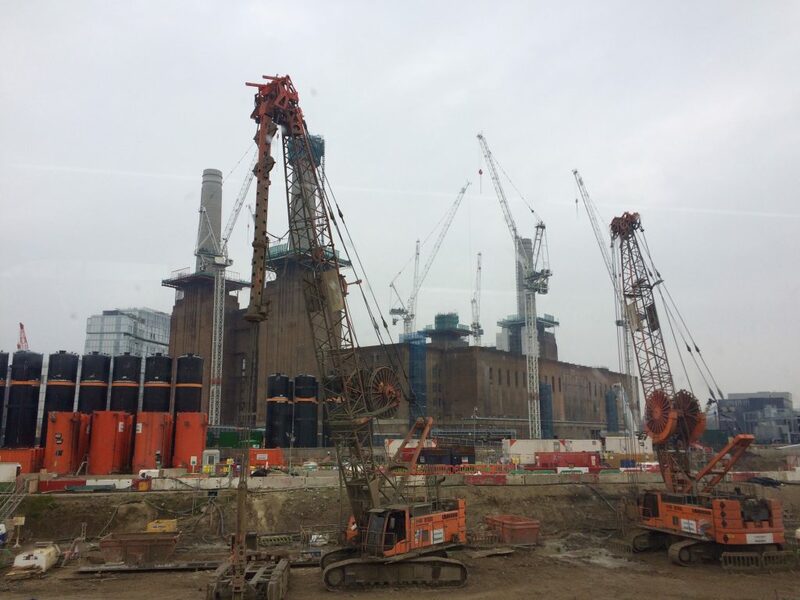 In questi giorni la Battersea Power Station Development Company porta in un tour globale i suoi progetti, in cerca di investitori stranieri pronti ad acquistare un posto nel nuovo nel centro che hanno intenzine di costruire. Anche gli Italiani avranno modo di esserne parte: la campagna pubblicitaria passerà da Milano dal 5 al 9 novembre. Per chi si fosse perso la notizia, il lancio del tour, almeno per il pubblico italiano, è avvenuto grazie a un lungo articolo di Repubblica che porta la prestigiosa firma di Enrico Franceschini, suo inviato a Londra. Invitato dalla Battersea Power Station Development Company a “dare un’occhiata da vicino e a fare due chiacchiere”, l’inviato restituisce un entusiastico affresco delle infinite capacità di una città capace di guardare al futuro per reinventarsi attraverso progetti da sogno. Tra le righe Franceschini sembra quasi suggerire di prendere esempio e evidenziare ciò che manca a noi poveri italiani, impelagati nel presente e appesantiti da un passato di cui non sappiamo bene cosa fare. Chi si prenderebbe la briga di reinventare quartieri interi, investire miliardi per il futuro di Roma o Milano? A Londra invece si può e la Battersea Power Station Development Company pensa a tutto: giardini d’inverno sul tetto della centrale, negozi e spazi espositivi, oltre che spazi abitativi per 100.000 persone e una deviazione della metro fino nel cuore del nuovo e straordinario “villaggio”. Veduta aerea del progetto come dovrà essere a conclusione lavori. In mezzo ai grattacieli si intravede la centrale elettrica. Peccato che dal simpatico affresco del nostro caro Franceschini manchino un po’ di fatti e alcuni altri vengono presentati in maniera tanto semplicistica da apparirci sbagliati, o perlomeno fuorvianti. Per chi non abbia ancora avuto la possibilità di saperne di più, ecco i principali. Londra è probabilmente al picco del suo mercato immobiliare e, contemporaneamente, della sua capacità di attrarre migranti d’ogni sorta dal resto del mondo. Con il venir meno di piani e finanziamenti per abitazioni sociali e un mercato pompato da enormi liquidità provenienti dai gruppi finanziari e magnati di mezzo mondo, la gente “normale” si trova coinvolta in una paurosa crisi abitativa. Il fenomeno va avanti da almeno trent’anni ma gli effetti, in un contesto di crisi, austerità e con un mercato degli affitti alle stelle, sono devastanti e raggiungono fasce sempre più ampie della popolazione. Mentre si investono miliardi in edifici avveniristici, a Londra non ci sono nuovi appartamenti, non dico per i poveracci immigrati da mezzo mondo, ma nemmeno per la middle class locale. Il Financial Times, invitato a scrivere sul progetto più o meno come Repubblica, riporta l’opinione di Peter Rees, un famoso urbanista, esperto di pianificazione e docente al prestigioso University College London. Questo parere tombale introduce un rapido excursus dei problemi relazionati al mercato immobiliare londinese e ai megaprogetti di sviluppo, come quello di Battersea. Non che il Financial Times sia la bibbia, o che le preoccupazioni del pubblico britannico siano le stesse di quello italiano, ma forse contestualizzare un po’ questo progetto sarebbe stato interessante anche per i lettori di Repubblica. Soprattutto coloro che si apprestano a valutare da vicino, come suggerito dall’articolo, la possibilità di acquistare un appartamento nel complesso della Battersea Power Station. Secondo noi di difetti (e rischi) ce ne sono, e sono ben altri. Ciò che ha reso Battersea Power Station l’icona gotico industriale che attualmente rappresenta sono le ciminiere bianche. In passato Spectacle ha supportato e documentato su questo blog le campagne in difesa della centrale e, in particolare, delle sue ciminiere. La proprietà sostiene che le ciminiere siano un pericolo, in quanto danneggiate dal tempo e rese pericolanti dalla mancanza di manutenzione degli ultimi 30 anni almeno. A tale scopo Battersea Power Station Development Company ha in mente di demolirle per sostituirle con copie nuove di zecca che ne garantiscano la solidità per gli anni a venire. In realtà questa è precisamente la posizione dell’impresa, il cui CEO è arrivato a paventare rischi imminenti di crolli, anche in caso di folate di vento più forti del solito. Diversi elementi fanno dubitare sul fatto che le ciminiere rappresentino un pericolo concreto. Se le nostre inchieste e le interviste realizzate con i membri del Battersea Power Station Community Group, promotori delle campagne di difesa della centrale da speculazioni e distruzioni, possono sembrare parziali, torniamo al Financial Times e a come affronta lo stesso argomento. Fatto sta che le ciminiere stanno venendo giù, e anche rapidamente, in barba a tutti i tentativi operati dagli attivisti del Battersea Power Station Community Group di far valutare a impresa e municipio piani alternativi di restauro. Inoltre le garanzie predisposte affinché l’impresa effettivamente proceda alla ricostruzione delle ciminiere sembrano essere state aggirate. Se in un primo momento il municipio aveva imposto alla compagnia di procedere alla demolizione e immediata ricostruzione di una ciminiera per volta, nuovi accordi hanno stabilito che dopo aver abbattuto e cominciato a ricostruire la prima ciminiera, le altre tre potranno essere smantellate tutte insieme. Inoltre è stato chiesto all’impresa di depositare in un conto vincolato fondi sufficienti a garantire la ricostruzione, anche in caso di fallimento improvviso o vendita a terzi del progetto (le dinamiche del passato fanno credere che non siano ipotesi tanto remote…). Il fondo depositato è di 11 milioni di sterline (14 milioni in euro, un po’ pochino a detta di un ingegnere della stessa Battersea Power Station Development Company) e il deposito è stato effettuato in una banca malese. Secondo gli attivisti in caso di effettivo fallimento della Battersea Power Station Development Company, sarebbe quasi impossibile riscuotere i soldi di garanzia. Battersea Power Station è solo uno dei centinaia di progetti di development finanziati da gruppi immobiliari a capitale britannico o internazionale, tutti extralusso. Questi progetti spesso creano bellissimi e avveniristici quartieri, ma spettrali: i primi acquirenti sono, normalmente, gruppi immobiliari e affaristi di mezzo mondo che comprano e vendono appartamenti come titoli azionari. Questi proprietari, che Battersea Power Station Development Company apparentemente sta cercando di raggiungere nel suo tour globale, sono normalmente in cerca di curve di mercato che garantiscano utili, più che di esperienze urbanistiche e vedute mozzafiato. Lo scarso interesse verso la reale esperienza abitativa degli investitori rende più che sospettosi circa l’attenzione che la Battersea Power Station Development Company riporrà nella salvaguardia architettonica del sito.